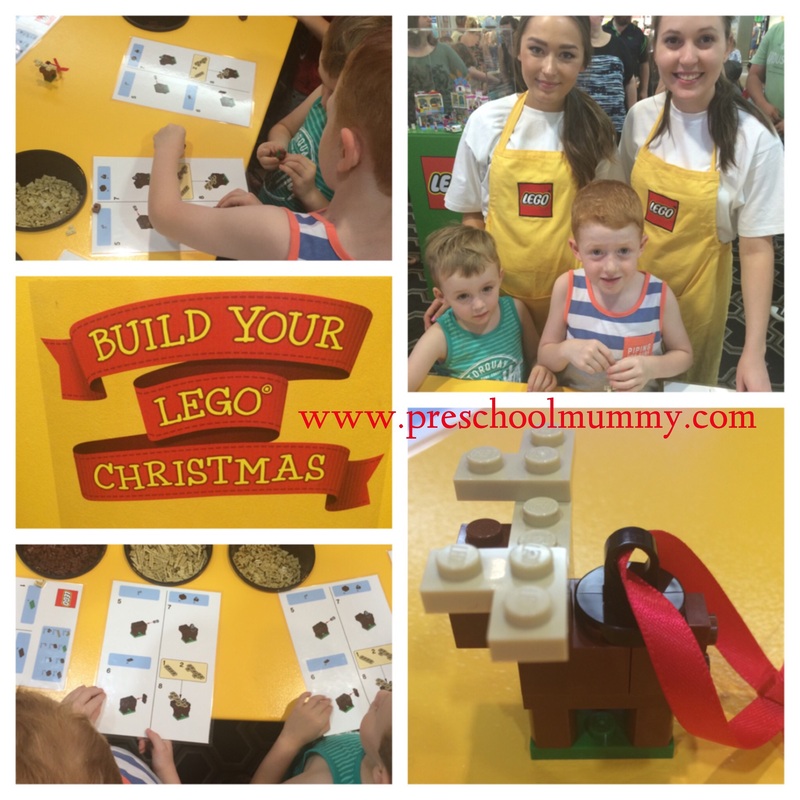 Free Lego Christmas craft at Carindale this weekend! Hey guys! You’ve got to check this out! This weekend at Westfield Carindale, children of all ages can create a Lego Christmas ornament to take home with them. Escape the scorching heat in the air conditioned comfort of the centre. The coolest thing is, it’s free! Kids can make either a Santa or a reindeer from Lego to hang on the tree. The instructions are printed on easy-to-read cards, and there are plenty of assistants on hand if you need any help. The activity zone is set up outside Big W.
It it runs until 5pm today, and between 10am and 5pm tomorrow, Sunday 16 November. Previous Post Scary Spiders on Sparkly Webs – work together activity for children and parents. Next Post For $6? A craft, a decoration, a sweet-free advent calendar.